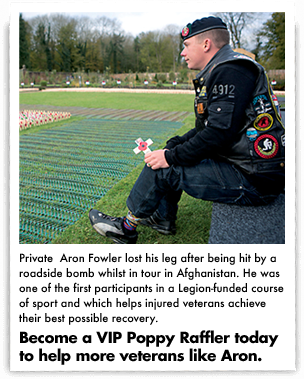 Become a VIP Poppy Raffle Player by subscribing to Legion's quarterly raffles. 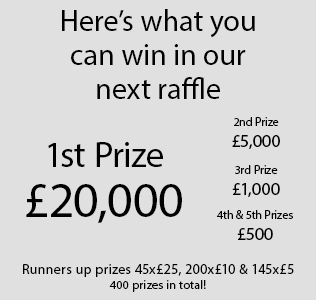 There are over 400 prizes in each raffle including a jackpot of £20,000. 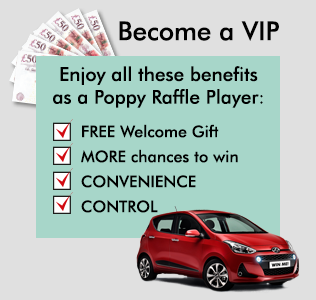 Plus there's an extra prize of £500 to win just for VIP players when you subscribe. 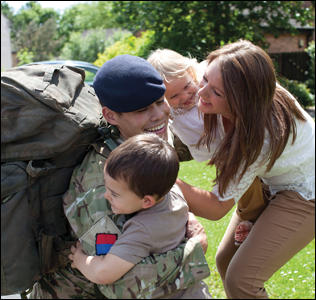 To get started, please choose the number of entries you would like.